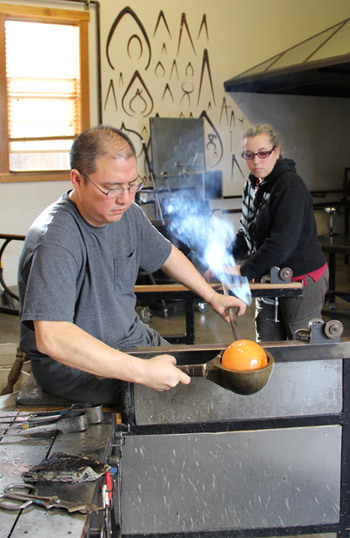 Boyd Sugiki was first introduced to glass at Punahou High School in Honolulu, HI, where he was raised. He went on to receive a BFA in Glass from California College of Arts and Crafts and a MFA in Glass from Rhode Island School of Design. Lisa Zerkowitz has a Bachelor’s degree in Studio Art from the University of California, Santa Barbara, not far from her native Los Angeles. 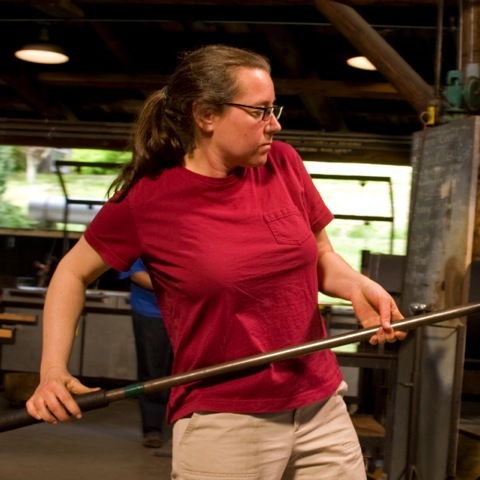 She received her Master’s degree in Art Education from the Rhode Island School of Design while simultaneously completing the undergraduate program in Glass. In 2007, they founded Two Tone Studios in the West Seattle neighborhood of Seattle, WA. They chose to establish their studio in the Pacific Northwest to be a part of the rich glass community that exists in the region. Their studio name refers to the use of color as well as the two voices behind the work. Each piece is designed and hand made by Sugiki and Zerkowitz, from sketch to finished piece. 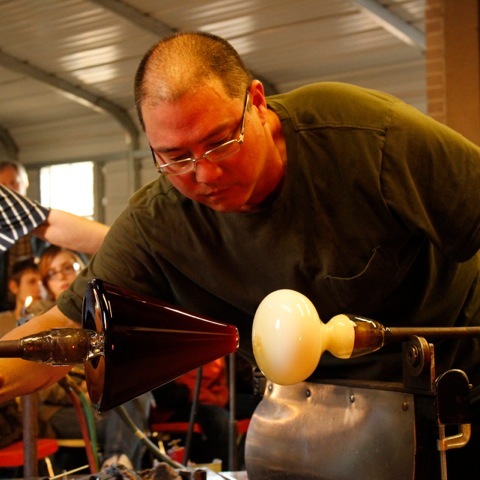 They are well known throughout the glass community and have been invited to many prestigious institutions to lecture and demonstrate in this country and abroad. Appalachian Center for Crafts, Bowling Green State University, California College of Arts and Crafts, Chrysler Museum Glass Studio, The Studio of the Corning Museum of Glass, Emporia State University, Haystack Mountain School of Crafts, Penland School of Crafts, Pilchuck Glass School, Pittsburgh Glass Center, Pratt Fine Arts Center, Rhode Island School of Design, Rochester Institute for Technology, San Jose State University, Southern Illinois University, Tyler School of Art, University of Nebraska, University of Hawaii, University of Wisconsin at Stevens Point, and Virginia Commonwealth University. Beyond our borders, they have taught at the Australia National University, South Australia’s JamFactory, National College of Art and Design, Dublin, Turkey’s Glass Furnace, Korea’s Kookmin University and Korea National University of the Arts, Japan’s Toyama Glass Art Institute as well as Kanazu Forest of Creation, and Alberta College of Art and Design in Canada.